For many of us, relaxation means zoning out in front of the TV at the end of a stressful day. But this does little to reduce the damaging effects of stress. To effectively combat stress, you need to activate the body's natural relaxation response. The fragrance of tangerine (citrus reticulata) is fruity and energizing. It can liven up and refresh dank, stale and stuffy rooms. 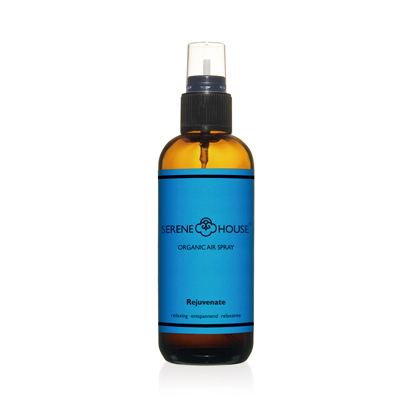 Rejuvenate can function as an air neutralizer, and due to the tangerine oils, can last longer than other common scents, such as vanilla or powder. Besides its refreshing character, it has a calming effect on the nerve system. In this particular blend, we make use of cardamom (elettaria cardamomum) not least because of its long tradition as a healing-plant. Even the romantic note lavender fine (lavendula officinalis) finds its way into this complex blend, which contains more than 100 known organic matters.